Guilty parties continue to party in this soap-opera sequel. 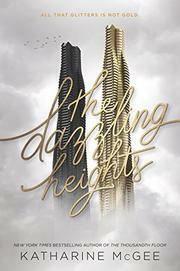 Surrounded by extravagance and futuristic technology, the elite teens of the top floors of the 1,000-story Tower in New York City still manage to be miserable. Vicious and ambitious Leda Cole struggles to conceal her murder of Eris Dodd-Radson by blackmailing her witnesses over their darkest secrets. There’s Avery Fuller and her semi-incestuous relationship with her adopted brother, Atlas; hacker Watzahn “Watt” Bakradi and his illegal quantum computer; and scholarship-student Rylin Myers and her criminal ex-boyfriend. Newcomer con artist Calliope Brown and her mother also seek to exploit the richer residents. The economically stratified Tower also seems racially segregated; black Leda fights to overcome her middle-class origins, and lower-floor (and therefore lower-class) Iranian-American Watt and “half-Asian” Rylin falter as foils for the mostly white 1 percent. While the multiplicity of narrators causes tiresome plot repetition, it mimics the self-absorbed world of the Tower’s top tier. McGee offers intriguing sci-fi elements—communication-enabling contact lenses, hovercraft, holography—but sacrifices social commentary or dystopian revolution for traditional teenage melodrama. In over 400 pages of dizzying excess and desperate partying, no one cuts through the “Gordian knot of these highliers’ screwed-up lives.” Readers wanting more substance should seek out J.G. Ballard’s High-Rise.